The National Heritage List for England identifies the buildings, sites and landscapes which receive special protection. There is a mention of sound mirrors in the article Mirrors and smoke: A. V. Hill, his Brigands, and the science of anti-aircraft gunnery in World War I, William Van der Kloot. DOI: 10.1098/rsnr.2010.0090 Published 20 July 2011. While today the acoustic mirror is a museum curiosity, before World War II, it was a method of detecting aircraft. The mirror could focus the sound from an aircraft engine allowing early detection. There are several of these stations still on the coast of Britain and one in Malta. A microphone picked up the sound and the construction wasn’t actually parabolic, they were spherical mirrors. The reason is that a parabolic mirror has to move to determine direction, while a spherical mirror could detect direction by moving the microphone. The Remembering 1916 – Life on the Western Front exhibition about the First World War in the year 1916 is being held at the Whitgift Exhibition Centre in south Croydon from 12 March to 31 August 2016. It is well worth seeing. The exhibition covers many aspects of the war, from Gallipoli to Jutland to the home front to conscientious objectors, with extensive displays of uniforms, documents, photographs, art, memorabilia, weapons and other exhibits from Britain, France and Germany. Full-size mock-ups using real objects portray rooms in a 1916 house, a horse-drawn wagon, a trench on the first day of the Somme, a fort at Verdun and a German machine gun position. While there is nothing about sound mirrors there (as far as I could see), there is a display about Zeppelins. Also of aviation interest is the display about an old boy of the school who was shot down (fatally) by the Red Baron. The exhibition explicitly avoids getting bogged down in the politics and debates about who started the war or “lions led by donkeys”. In a refreshingly different approach, it attempts to give a 1916-eye view, and not simply see things through the lens of modern ideas about politics, class and gender – or a late-1980s TV sitcom. The exhibition is not far from central Croydon: plenty of buses stop nearby. Remembering 1916 – Life on the Western Front official website. The downloadable “Coastal Defence and Zeppelin Raids” chapter (number 9) of the Invasion threats and counter measures section of West Sussex County Council’s Great War West Sussex 1914-18 webpages features information on the Selsey sound mirror written by Martin Dale. 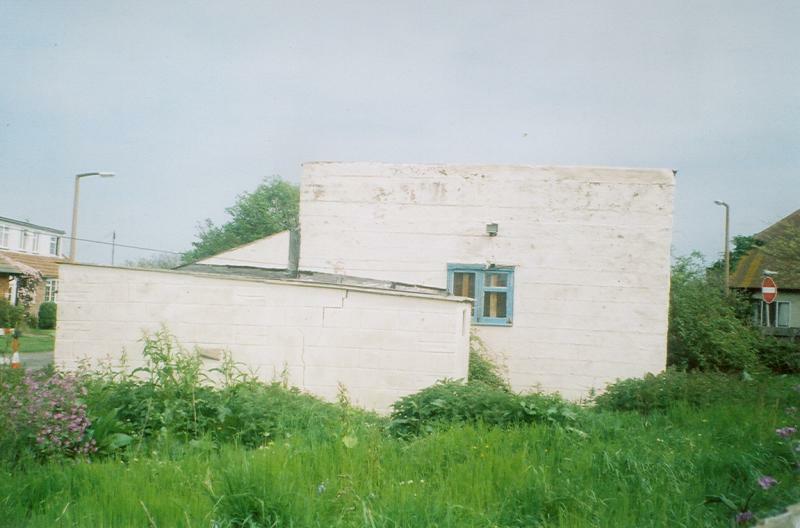 The Kilnsea sound mirror, described as “the only listed ‘building’ in Kilnsea“, is mentioned on The Spurn, Kilnsea and Easington Area Local Studies Group website. Checking some old links, I found the Seaham Scenes website is no more; it seems the webmaster Peter Dent died in a motorcycle accident in 2009. Using the Internet Archive I have retrieved the text about the Seaham sound mirror, and put a copy here. It would be shame for the memories of the mirror to be lost, so I hope no-one minds. Hello, I found your website while seeking further information about a "sound mirror" which is reported to have existed at Seaham. Do you know anything about, or know someone who does? I’m afraid I’ve never been to the area. The sound mirror was one of a number built as a form of pre-Radar early warning system. It would have been built circa 1916, it still existed in 1947, and would have looked something like this: Sound Mirror -> that is, a big concrete thing, with a "dish" shape in a wall facing towards the coast. It would almost certainly have had a clear view towards the sea when it was built, but could have been up to a couple of miles or so in land. I left home (Seaham) in 1947 and have rarely been back. I do remember as a child, however, playing around an acoustic mirror (complete with metal rod for supporting the microphone) situated on the high ground (Kinley or Kilney Hill) to the south west of Dawdon, Seaham Harbour. Having looked at the photographs, I can report that it was similar to the Sunderland example in terms of shape and size. I have no idea what state it might be in now, or even if it still exists. Andrew, thanks for the interesting email. I know quite well the area you are talking about, Kinley Hill. There still exists an underground structure at the top of Kinley Hill, which was an early warning / lookout post. I believe it was manned by the Civil Defence. This was during the 2nd world war and after that during the cold war. This is the period when it was thought that nuclear war was a genuine possibility. There is also another hill, maybe a mile from Kinley Hill, which is known as "False Hill". It was named such because I believe its exactly that, a false hill. That is a huge mound which is man made and houses more underground passages and rooms. It used to have small structures on it meant to look like dwellings but which house machinery and there was always a radio / radar mast there. Now its home to mobile phone masts etc. However, I can’t remember ever seeing a sound mirror on either hill? I’ve been visiting both locations from when I was a kid, 30 + years ago now…. They were fascinating places for kids to explore, even if they were dangerous. Just thought that you might be interested in a water-colour sketch that I did from memory of the ‘sound mirror’ that stood above Dalton-le-Dale. I also played around this structure as a kid and I understand my great uncle Wilf manned this Zeppelin Sounding device at some point in WW1. The view is from the east looking towards George Weightman’s ‘West Farm,’ Waring Terrace, the garage on Stockton Road. It was located above and to the north of Dalton le dale a little north east of the Overdene Estate but demolished. Put Sunderland Sound Mirror into Google for more. Unless I am mistaken the sound mirror was situated behind the garage at the top of Deneside where the housing estate at the top of The Graham Way now stands. The area used to be used as pick nick area accessed from a path near the side of the garage. We used to play there and throw balls into the mirror, it was not until a TV program in the last year or so about coastal early warning systems that I found out what it was. I’ve lived in Seaham all my life and can remember the mirror very well though didn’t know what it was at the time myself family and friends played on and around it for years through the 60’s and early 70’s it was about 200 yards behind Padgets garage at the top of the Deneside the site was accessed through the so called farm cut on the avenue opposite the top of Ryton cut about…..about 20 yards in front of the mirror was a large 10 ft deep hole lined with thick concrete about 20 yards by 30 yards must have been an operations room for the mirror the field was called the bully because us kids thought the hole was a bull ring the exact location is where the top of Weymouth drive is now every year the hole was used as the biggest hay jump in Seaham …….hope this helps to jog some memories ……..
“Vergessene Technologien – Riesenohren aus Beton” (Forgotten technologies – Giant ears of concrete) is a 23 May 2011 German-language article by Solveig Grothe on the website of Spiegel . It has a history of sound mirror development between the wars, and features some photos of sound mirrors from the Sound Mirrors Flickr group (used with the permission of the photographers). With reinforced concrete shells the size of a house, the British listened in the 20s and 30s for enemy aircraft. The acoustic experiments along the coast gave the island extraordinary architectural monuments – and an interception technique to which was used to the outbreak of World War II. “Listing of sound mirrors urged: Oliver Gillie reports on the pre-radar detection devices that enthusiasts want to see preserved” from the Independent on 3 July 1993.